In January 2019, Stevensville Public Schools conducted a mail survey of all voting households in the Stevensville and Lone Rock School Districts. The three items on the survey that received the most support from voters are the Primary School remodel, the High School remodel, and the construction of a new Industrial Trades & Technology building. 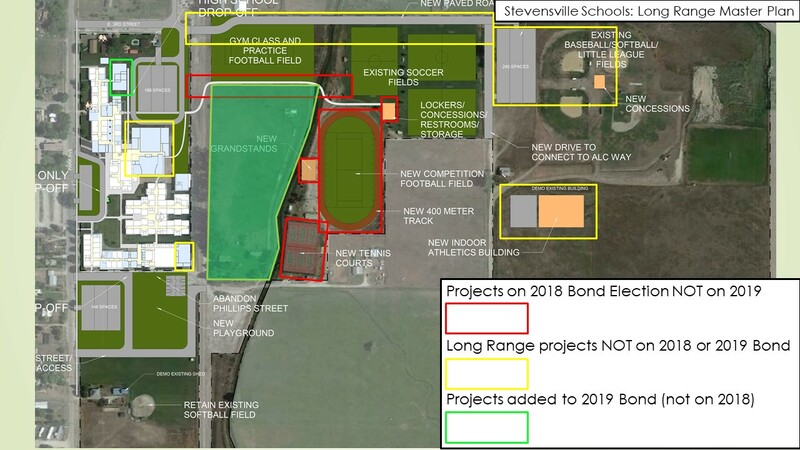 Stevensville business owners and community members surveyed supported the addition of the Agricultural and Industrial Trades & Technology building over athletic facilities repairs. Athletic facility repairs and improvements previously included in the failed 2018 school bond election are not included in the 2019 election. The Property Tax Assistance Program (PTAP) helps citizens on a fixed or limited income by reducing the property tax rate on their home.